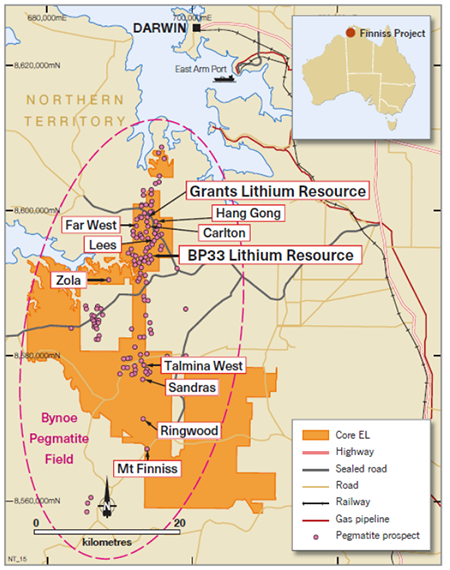 Emerging Australian lithium developer, Core Exploration Limited (ASX:CXO), has announced a maiden Mineral Resource estimate for the BP33 Lithium Deposit at its Finniss Lithium Project in the Northern Territory. The Maiden Mineral Resource estimate defined by drilling to date within the BP33 Prospect, comprises an Inferred Resource of 1.4Mt at 1.4% Li2O and this grows the total Mineral Resources at Finniss to 3.45Mt @ 1.4% Li2O. The potential to expand the maiden BP33 Mineral Resource is considered high as the resource is currently extended only 20 metres south of the most recent drill intersection of 75m @ 1.68% Li2O at the southern end of BP33. Resource extension and exploration drilling will recommence next month at BP33, to test directly south of the high-grade lithium drill intersection. The aim of the drilling is to increase the size of the maiden resource. The BP33 Mineral Resource is open to the south and south-west in a 300 metre long target area between pegmatites identified at surface at BP32 Prospect and BP32W Prospect. CXO’s next drilling at BP33 is planned to immediately define the south and south-west extensions to the BP33 Resource and undertake exploration drilling in the target area between the BP33 Resource and BP32 and BP32W prospects. 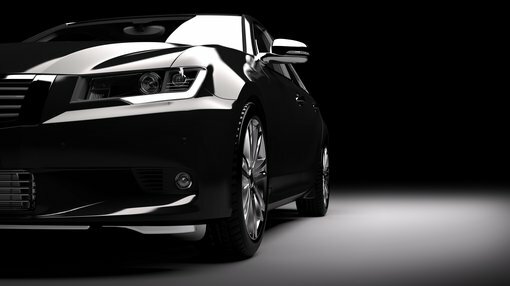 Of course it is an early play, and investors should seek professional financial advice if considering this stock for their portfolio. The aim is to substantially grow the Mineral Resource base for the Finniss Lithium Project which underpins a potential long-life lithium mining and production business. 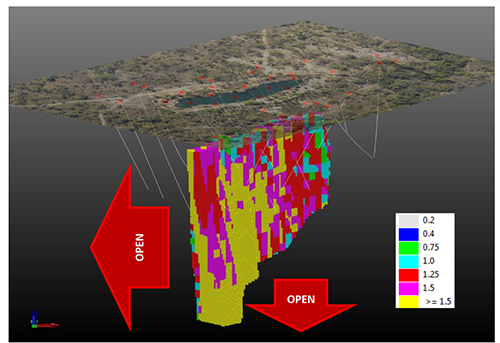 Core’s Managing Director, Stephen Biggins, stated: “We see the addition of resources at BP33 as highly valuable addition to the Finniss Project, and a first step in demonstrating strong potential for incremental growth to potential mine life that can be delivered by the highly prospective ground position over the Bynoe Pegmatite Field near Darwin in the Northern Territory. CXO is in the final stages of completing a Pre-Feasibility Study (PFS) for the development of a spodumene concrete and/or direct shipping ore operation from the Grants Lithium Deposit, and expects to deliver the PFS next month. The company expects to complete a full Feasibility Study for the development of mining and processing lithium from the Finniss Lithium Project. This is subject to positive results from the PFS. It aims to complete regulatory approvals, financing and internal approvals, and commence production at Grants, at the end of 2019. The Finniss Lithium Project has substantial infrastructure advantages supporting the Project’s development, such as being close to grid power, gas and rail. It is also within easy trucking distance by sealed road to Darwin Port, which is Australia’s closest port to Asia. The BP33 Lithium Deposit is hosted within a rare element pegmatite that is a member of the Bynoe Pegmatite Field. It is situated 15km south of Darwin and extends for up to 70km in length and 15km in width. Over 100 pegmatites are known within clustered groups or as single bodies. Individual pegmatites vary in size from a few metres wide and tens of metres long up to larger bodies tens of metres and hundreds of metres long. The Mineral Resources are reported at a high cut-off at 0.75% Li2O. His report notes that fresh pegmatite at Bp33 is composed of coarse spodumene, quartz, albite, microcline and muscovite (in decreasing order of abundance). Spodumene is a lithium bearing pyroxene (LiAl(SiO3)2). It is the predominant lithium bearing phase and displays a diagnostic red-pink UV fluorescence. The pegmatite is not strongly zoned, apart from a thin (1-2 metre) quartz-mica-albite wall facies and some barren internal quartz veins. 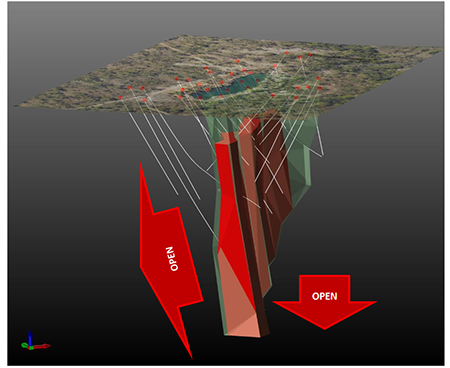 The diagram above shows the BP33 Main Pegmatite (green) and Resource (red/brown) open along strike to the south and at depth. 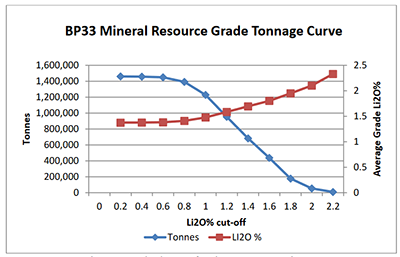 BP33 has a flat Grade-Tonnage curve at the 1.3% Li2O “sweetspot” for spodumene production. A high 0.75% Li2O cut-off grade results in no significant reduction in the contained tonnes, demonstrating the consistent high-grade nature of the Resource.